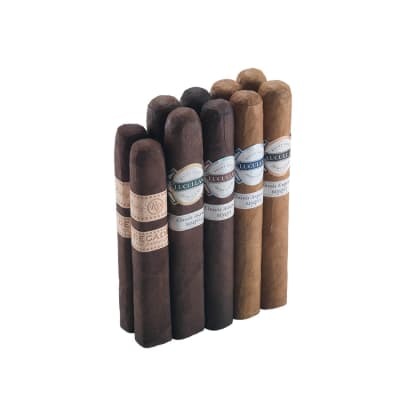 Think of this Rocky Patel Lucullan cigar sampler as something you picked-up for yourself at that thrift shop your wife dragged you to, only to find out later that it was worth a lot more than you paid for it. 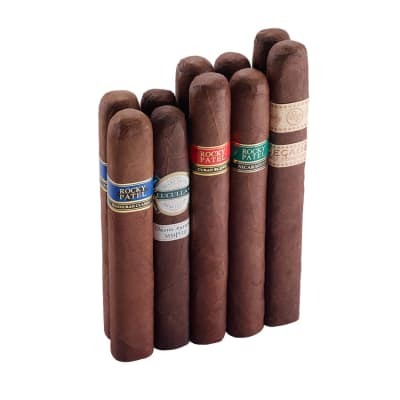 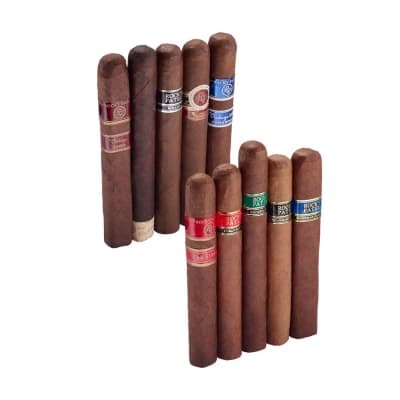 This 10-cigar set comes with a pair each of Rocky Patel's exclusive, four-blend Lucullan Classis collection and a pair of 90+ rated Rocky Patel Decade cigars, all in Robusto sizes ranging from medium to full in body, and capped by a variety of vintage wrappers that include Ecuadorian Habano, Sumatra, Brazilian and Connecticut. 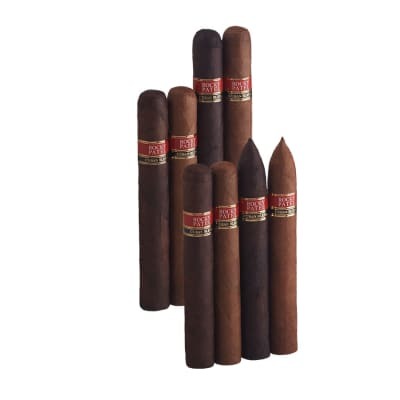 It's the most affordable way to discover this opulent Lucullan Classis collection while getting yourself a pair of valuable extras. 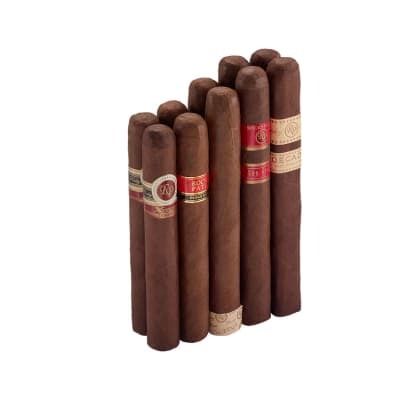 Add this humidor-worthy sampler to your cart now.